In her latest interview with People Magazine, Diem Brown confirms that she is still giving it her all and hasn’t lost hope during her third battle with cancer. The battle has been tough, but overwhelming support has encouraged her to keep fighting. 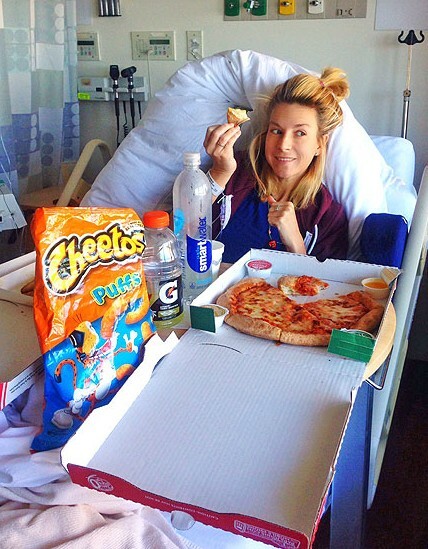 Medical marijuana has help Diem to adopt Jemmye’s diet. While spirits remain high, Diem has noticed some physical changes. Due to the pain and nausea, Diem has lost a total of 25 pounds so far pushing her weight to about 100 lbs. Being the modern girl she is, Diem has turned to a recently approved form of treatment to help her during her battle: medical marijuana. Admitting that she never smoked before, Diem was nervous about trying the drug. However, by vaporizing marijuana she was able to find some relief during this difficult time. Her pain has subsided during use and her appetite has started to return. While this is certainly no cure, I am proud of Diem for going public with her use of medical marijuana. She’s someone who is actually benefiting from using the drug and not using her medical marijuana license to fuel a smoking habit. Diem continues to impress by being exceptionally brave during her treatment and allowing the public to follow her every step. ← Throwback: Did Katie Deserve to Win the Inferno?